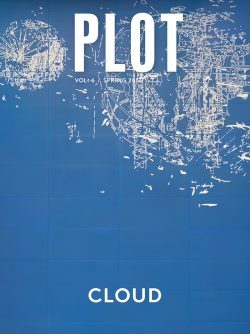 Featuring curated submissions by students, faculty, artists, and practitioners, Volume 6 explores the theme of CLOUD. The content is developed by the second-year MLA student editorial board in collaboration with faculty advisor Catherine Seavitt Nordenson and designer Isaac Gertman. Contributions to this issue examine the ephemeral phenomenon of the CLOUD, a speculation on that mass of shifting liquid masquerading as a solid. This volume received the 2018 Douglas Haskell Award for Student Journals from the Center for Architecture. Cover art: Sarah Sze, Blueprint for a Landscape, 2017 – tilework for the 96th Street Station of the new Second Avenue Subway in Manhattan.